Assume you are sitting at a single deck of cards Blackjack game and are waiting for the dealer to finish shuffling the cards, before making the first bet. Mathematically speaking, the chance that you will be dealt a blackjack (two cards hand of a ten valued card and an ace) is 1 in 21. Lets assume that during the play of the first round 4 aces had been dealt. At the start of the next round, the chances of getting a blackjack is zero, cause there aren’t any aces cards left in the unplayed deck of cards, cause they were all been dealt in the preceding round. 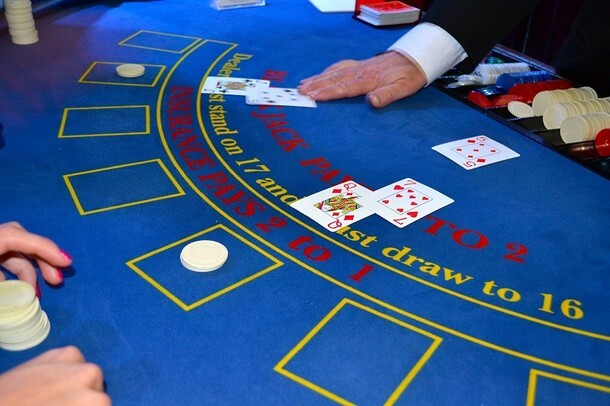 The chance of winning aspecific hand of cards, are totally dependent upon what cards were dealt in the preceding rounds, signify that Blackjack is a game based on dependent trial processes.